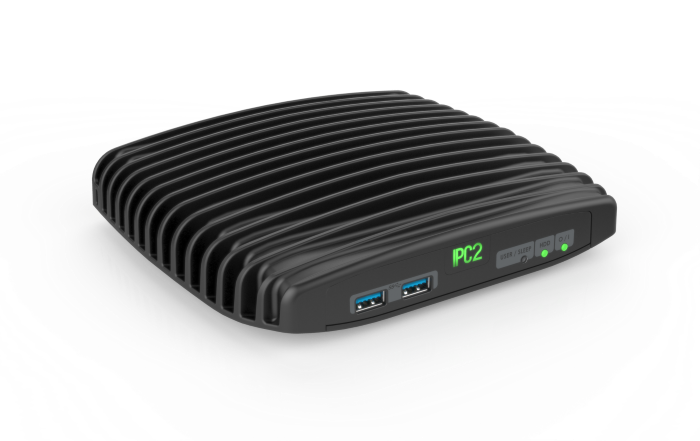 IPC2 is a fully functional miniature computer based on Intel 4th generation (Haswell ULT) and Intel 5th generation (Broadwell ULT) Mobile Intel® Core™ 64-bit dual core processor family, features Intel HD graphics engine and rich connectivity options. System connectivity can be easily expanded by adding FACE Modules board. IPC2 capable to drive 3 independent displays with up to 4K resolution, simultaneously (triple-head). It runs Windows 7/8/10 and Linux operating systems. Haswell processor SKUs can be equipped with up to 16 GB of high-performance RAM, and Broadwell versions allows to equip the computer with up to 32 GB. In addition, Broadwell based computers delivers outstanding graphics performance featuring Intel® HD 5500 graphics engine, capable to drive resolutions up to 3840 x 2160 @ 60 Hz. Completely fanless design delivers performance up to 6523 points score on Geekbench3 benchmark tool on Haswell. 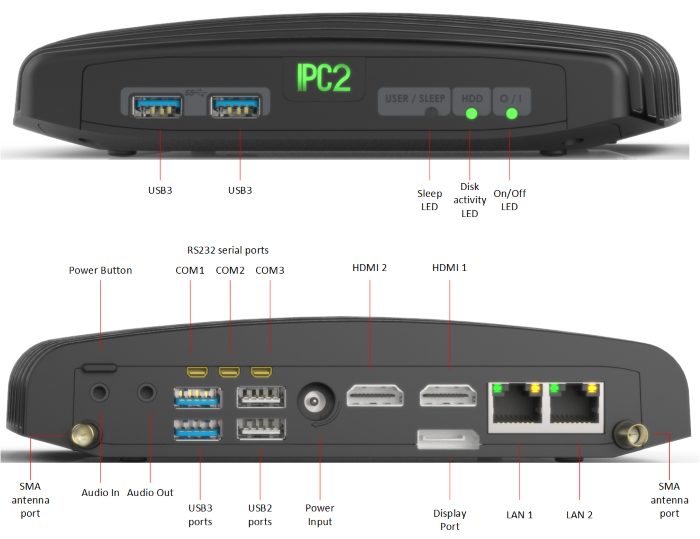 IPC2 serves a wide range of applications – industrial control and automation, networking and communications infrastructures, media players, IPTV, infotainment system, digital signage and smart kiosks, gaming or small-footprint desktop replacement. Dual Intel Gbit Ethernet NICs1 screw service door for upgrading disks, RAM and miniPCIe cards. The standard warranty on Intense PC2 is 5 years.